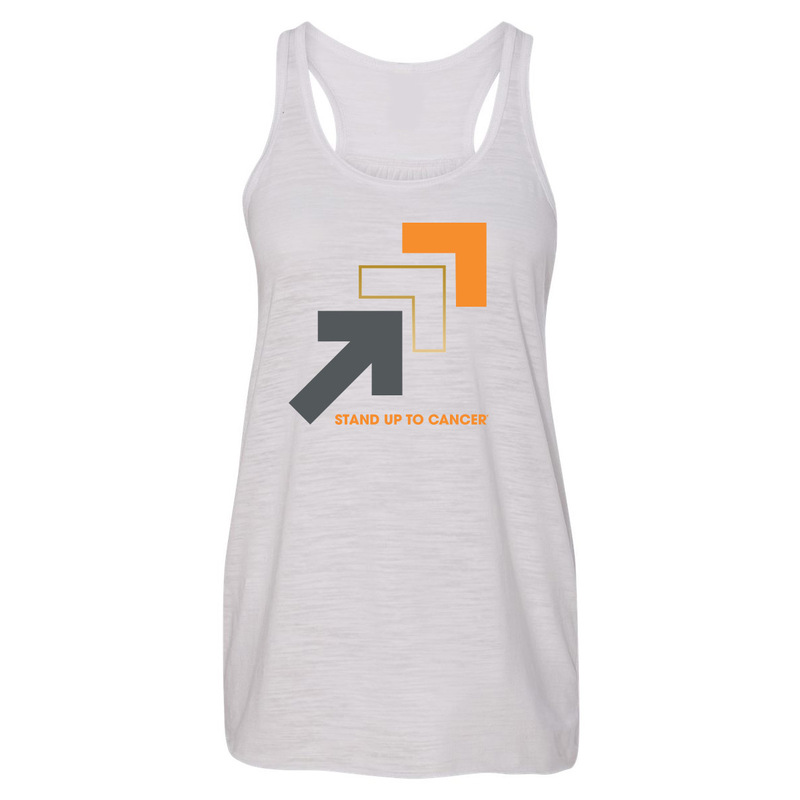 Find your strength and support everyone who has been touched by cancer with this SU2C racerback tank. Featuring our new arrows logo in modern orange and grey tones with a hint of metallic, our racerback tank encourages a powerful message of hope and support for anyone who has touched by cancer. Whether hitting the gym or relaxing after a hard day's work, this lightweight, breezy tank top is the perfect choice to Standing Up To Cancer.